Engine(S) Pratt & Whitney 530A Engines, Rated at 4,000 Hrs. T.B.O. Eng. #1 S/N: PCE-DA0205 5,150 Hours / 4,000 Cycles Only 1,150 Hrs. S.M.O.H. Eng. #2 S/N: PCE-DA0206 5,300 Hours / 4,100 Cycles Only 1,300 Hrs. S.M.O.H. Eight (8) Passenger Premium Leather Seating, New High Gloss Walnut Veneer Refreshment Center and misc. other items, New Headliner and New Custom Cut Pile Carpeting……Beautiful! 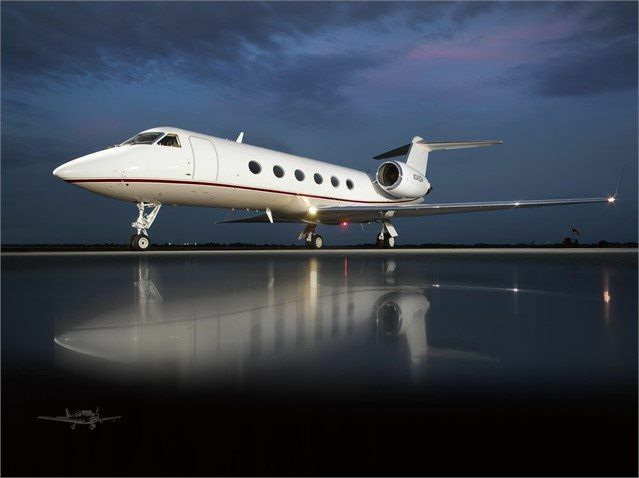 Enrolled on JSSI Platinum Hard-Time Engine Program Fresh Bore Scope Inspection by Gulfstream at 6440.2 Hrs. TTSN: 6,317.7 Hrs. / 6,317.7 Hrs. TSO: 1,793.0 Hrs. / 1,793.0 Hrs. Aircraft was totally striped and painted in 2015, colors are upper 2/3's of the fuselage Matterhorn White and the lower third has recently been changed to Jet Glo Desert Tan with Wine Center Stripping which compliments the New Tan Interior. Just completed totally refurbished Interior including all new Leather Seating, Custom Carpet and Cabin Side Panels. It has a new late style SP Headliner with new overhead style Lighting. Complementing the Elegant 13 Passenger Interior is the Fwd and Aft Lavatories, a much sought after option. Mid Cabin 2-Place Club opposite RH 3-Place Divan, Aft 4-Place Conference Group opposite LH Credenza. Newly Installed Entertainment System (SkyView Cabin Media System) with Wireless Tablets. NOTE: As in all Pre-Owned Aircraft transactions, it is the sole responsibilty of the Buyer to verify all specifications and information presented, as specifications are preliminary and subject to change. This Aircraft has just completed all Inspections as depicted in the attached Specification Sheet. 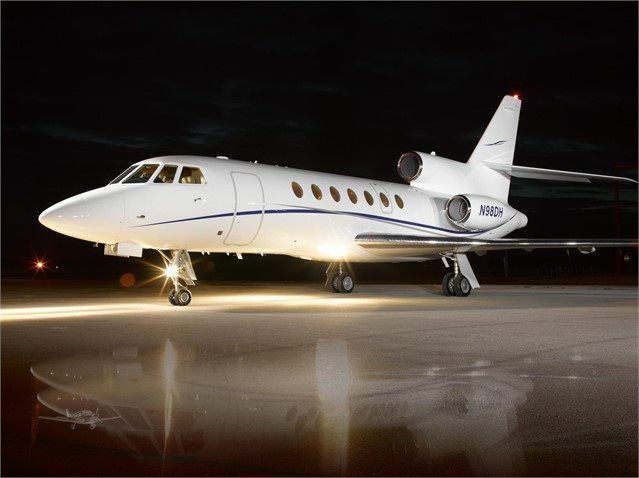 This Falcon 50 is the only one in today’s marketplace where all “major” inspections for years are complied. This alone saves the Buyer hundreds of thousands of dollars per year in operating expenses. All new paint and interior! Without a doubt the finest 50 offered on the Market today!! Engine #1 (Left) S/N: P76799 9352.8 T.T.S.N. Engine #2 (right) S/N: P76802 9312.8 T.T.S.N. Engine #3 (center) S/N: P76793 951 1.7 T.T.S.N. Note: This Aircraft’s Engines and APU are enrolled in the M.S.P. Gold Coverage Program. 49000 ELDEC Fuel/Gross Weight Counter, S.B. 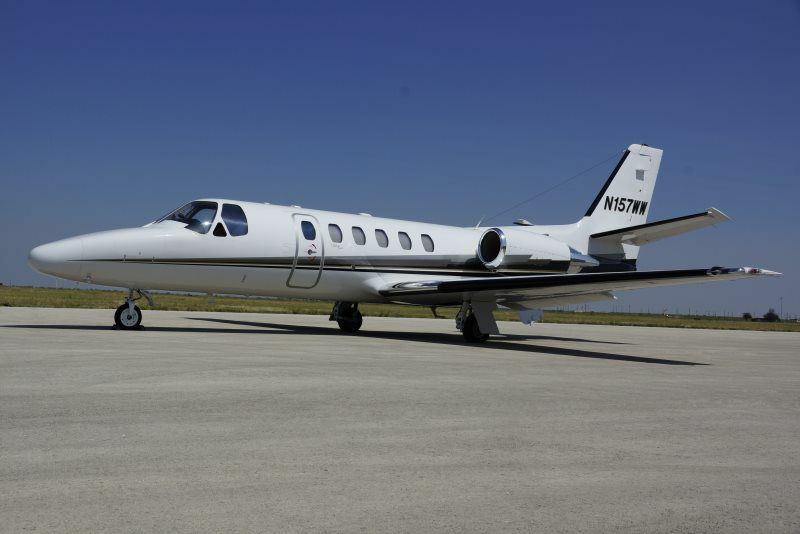 NOTE: As in all Pre-Owned Aircraft tansactions, it is the sole responsibility of the Buyer to verify all specifications and information presented, as specifications are preliminary and subject to change.